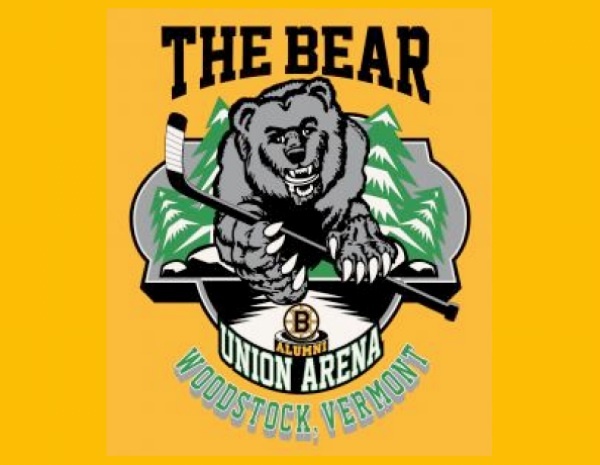 ONE OF OUR MOST ANTICIPATED WEEKENDS AT UNION ARENA – THE BEAR AND BRUINS ALUMNI GAME – WILL BE HELD FEBRUARY 23-25, 2018. REGISTRATION IS NOW OPEN! This Tournament is part of the 14th annual Boston Bruins Alumni game weekend in Woodstock. Each team in the Bear tournament is guaranteed one player (either a coach or parent) to suit up and play against the Bruins legends. Games may start as early as 9:00am Friday with no start times scheduled after 8:30pm. Limited number of teams – All games will be at Union Arena with no entrance fees for the 8U or 10U games. Players and coaches receive FREE tickets to the Boston Bruins Alumni Game! ENTRY FEE: $975 — Non-refundable deposit of $275 due via credit card at the time of registration. This will secure your team’s spot with the $700 balance due by January 31 via check or credit card. Players and Coaches receive complimentary tickets to the Gateway Ford Boston Bruins Alumni Game! ENTRY FEE: $325 — Full payment due at the time of registration. Players and Coaches receive complimentary tickets to the Gateway Ford Boston Bruins Alumni Game! REGISTRATION: Teams accepted on a first-come basis. Teams on the wait list that are not accepted will have their deposit refunded. Union Arena and Woodstock have built a reputation of hosting excellent tournaments, ranging from State Championships and USA Hockey Regionals to many Invitationals, and provide visiting teams and their families with a fun, professional and exciting experience. We may not be the biggest name or tournament, but the product is among the best and the service and hospitality is hard to match.